35mm, 45mm, 65mm Fender widths. It's hard to believe that these pictures were taken on a bike trail in Cedar Rapids, IA but they were. 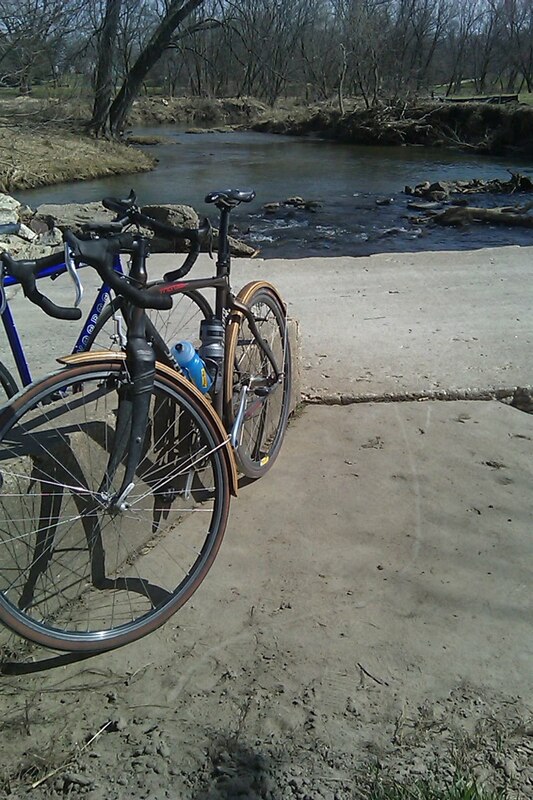 My son and I went out on our SS's for a couple hours on a very beautiful Monday afternoon. I've been riding the MKFenders with the new hardware installed for about a month and a half with zero issues. In the past with plastic fenders, I've had to tweak, bend, twist, and tighten to get the fenders to stay so they won't rub on the tires…and would still have issues. 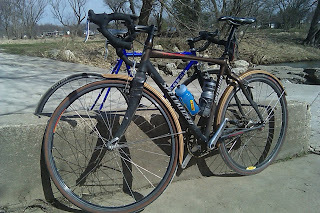 These wooden fenders are solid...as a rock. 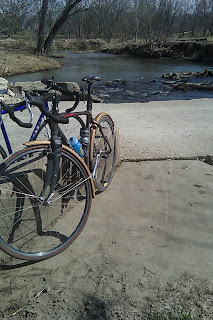 I've ridden, gravel, wet gravel, pavement, jumped curbs, pot holed alleys and the hardware is still solid as can be. I think the fenders’ strength comes from the way they are shaped and the several coats of epoxy that are applied before the marine grade varnish. Love em.